Chirag-Gala or Çiraq Qala (“light” or “lamp”) is an early medieval time fortress in Quba region of Azerbaijan. During the 5th Century, Atilla the Hun, made several raids to Sassanids and passed through the Caucasus. 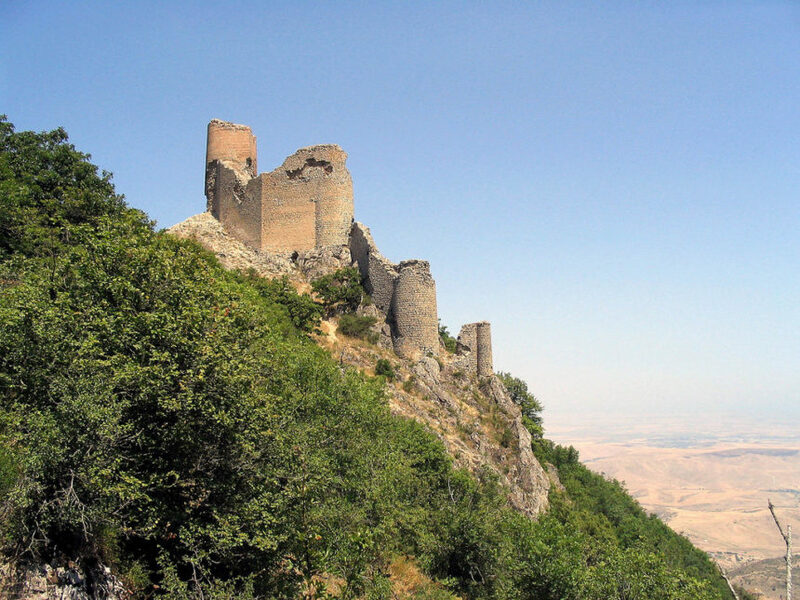 The Sassanids built long defence wall called “Gilgilchay wall” to protect the region safe from the raids of Huns and other northern tribes. Built in an altitude of 1230 meters, Chirag Gala was one of the defence structures within this wall. In fact, the fortress served until 1800s and finished its career as an outpost of Quba Khanate. Today, only the ruins of the fortress has survived, but it is still one of the most impressive ancient fortresses of Azerbaijan. The location of the fortress at over 1200 meters altitude made it an excellent communication tower. It is believed that during the danger, the soldiers defending Chirag Gala have alerted other castles by lighting signal fires that could be seen from other fortresses. By this way, through the chain of different fortresses, the signal of upcoming danger has reached to the whole region and people got a chance to become ready when enemies arrived. Because of the large rocks and rough road, the fortress is almost impossible to reach by road. Many tourists visiting Chirag Gala do it by foot from the village of Dashlig Yanar near Siyazan city of Azerbaijan. It is about 6 km. hike to the castle through the rocky trails.